Each second longer I took to respond seemed to kill Kyrie a little inside but I just couldn&apos;t, I can&apos;t, he&apos;s my best friend for God&apos;s sake. He&apos;s my best friend but at the same time I can&apos;t deny the fact that I love him and a huge part of me is in love with him just as much as he&apos;s in love with me, of not more. He continued looking at me and pulled on a fake smile, one that had disappointment written all over it. "I love you too" I cried. I sat there on that kitchen counter for what felt like a lifetime staring into Kyrie&apos;s eyes. I was locked in Kyrie&apos;s warm embrace. He held me and for that short space in time, I felt like nothing in this world could go wrong. Kyrie, the man who was my refuge, my pillar of strength, my counsellor, my hero but most inportantly my best FRIEND. FRIEND, that word kept ringing in my head and as that happened I realised that my stupid moment of impulse could ruin the most amazing friendship one could ever wish for. I love Kyrie and I&apos;m not sure if I&apos;m in love with him but regardless of that I don&apos;t wanna lose my friend, I don&apos;t wanna lose all the times we&apos;ve had over a break up we might have if we consider getting into a relationship. "Kay" Kyrie said with an unfamiliar gentleness to his voice, causing me to snap out of what one might call "a trance". "Yes" I said with my voice breaking slightly, indicating my nerves. "We gotta go! You better get upstairs and pack your stuff! Remember we got a flight to catch!" 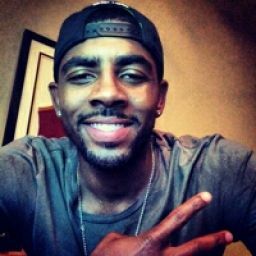 Kyrie demanded with a slight giggle and sounding more and more like himself with each statement, making me come back to earth and feel a little more like myself. After packing for about 20 mintues, which largely happened in that space of time because of Kyrie&apos;s sense of urgency and snappiness, I had 2 large Louis Vuitton suitcases packed and ready to go. We got into Kyrie&apos;s car and got to the airport in no less than half an hour. We got out of the car and headed towards the private plane Kyrie had organised while our luggage and the car were being handled. We for into the plane and everything seemed so perfect, everything except for my state of mind. I managed to keep my cool in the car and after blurting out that I loved Kyrie but I still felt a bit on edge after that whole episode because none of that was expected. We sat down in the comfortable leather seats and indulged in the champagne we were offered as soon as we entered the plane. "Get yourself together Kayla Henson and stop being such an uptight psychopath!" I thought to myself, as if following the commands of my brain I could feel my body begin to loosen up with every sip of champagne. Once I had had my first glass of champagne and the conversation between Ky and I started going I began to forget all my predispositions and lose my inhibitions. Kyrie spoke and I couldn&apos;t help but see the spark in his eye, the glow in his face and the brightness of his smile. I love this man and there&apos;s absolutely nothing wrong with that but right now I don&apos;t wanna deal with all the emotional bullcrap. I stood up and sat on Kyrie&apos;s lap and faced him, he placed his hands on my waist and smiled at me gently. I leaned in and soon enough our lips were smoothly caressing each other. The kiss became more and more intense until I felt Kyrie&apos;s manhood poking into me. I wanted him, I wanted him right there and then. He began cupping my breasts under my loose fitting blouse and kissing my neck. With every moment of contact, I felt a glorious sensation. If this is what heaven felt like I was ready to give in to it. We continued to enjoy each other until we were interrupted by the captain&apos;s voice as he announced that we were about to land. "Uhm I guess we&apos;re gonna have to continue this later babe" Kyrie said, his voice still husky from the activities we had just taken part in, or were at least about to. "Yeah...yeah you&apos;re right" I said, unable to hide my frustration. I briefly kissed him on the lips and got off his lap. As I walked to my seat I could feel the moisture in between my thighs causing more sexual frustration to seep into me. You absolutely mean the world to me and I hope that during this vacation I can show you that. Get ready so we can begin creating more memories together and have a weekend you will never forget. Ps. Dress for the beach, things might get a little bit wet. I enter the shower and all I can think about is what I&apos;m gonna wear, what this weekend has in store for us and what Kyrie has planned. I hope everything goes well. 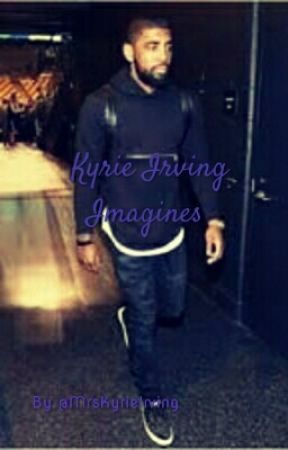 With that I realised that this was meant to be a vacation with Kyrie&apos;s teammates and their girlfriends...unless this was Kyrie&apos;s plan all along...Had he planned a romantic vacation all along? Did he trick me into believing this was a team thing? Was his plan to make me arrive here as a friend and leave as a wifey?